Peace of mind, when we’re playing is just as important as when we are working. 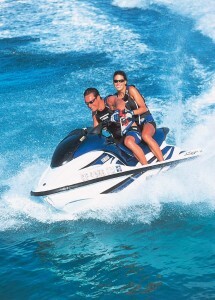 Water Crafts, Motorcycles, ATV’s, and other recreational vehicles can be insured at an affordable rate and fast. The coverage for the vehicle, your financial responsibility, damages caused to another vehicle or person should be a primary goal of any recreational vehicle owner. Allow us the opportunity to shop coverage for you with flexible payment plans. Providing information how these coverages may impact other coverages in your personal and business insurance portfolio is also another goal at Soriano Insurance. We have access to many companies that will cover Motorcycles, ATV’s, Touring Bikes, Mopeds, Scooters, and Custom Bikes. 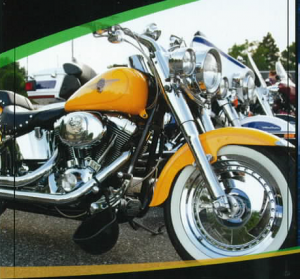 Motorcycles includes Can-AM and Trikes (manufacturer’s and professional conversions). Programs may include Optional Equipment & Excursion Diversion, Rental Reimbursement Coverages. Boats: We also have many companies that will offer broad coverage for most boats water-worthy today. Boats such as fishing boats and personal watercrafts. The replacement of an insured’s boat with a brand new one of similar make and quality is referred to as Total Loss Replacement. Medical payment including coverage for water-skiers is referred to as Medical Payments. Damages such as fuel spill cleanup may be referred to as Property Damage Liability. Removal of a wreckage can be referred to Wreckage Removal Coverage. Some companies have deductible reduction at each claim free renewal, this may be referred to as Disappearing Deductibles. Tackle, rods and reels coverage may be found under Replacement Cost Fishing Equipment. Personal affects can also be a desired coverage. This may be found under Replacement Cost Personal Effects. Towing on and off the water coverage may be referred as Emergency Towing and Labor. Claim Service: Most families use their recreational vehicles during vacations and off work times. Our major companies 24/7 Claims and Customer Service Departments help to provide peace of mind. The RV program can be designed to accommodate most recreational vehicles from coaches to Pop-ups. The replacement of a “totaled” RV with a new model of similar make and quality is referred as; Total Loss Replacement. When an RV is damaged during a trip, lodging and transportation can be found under Emergency Vacation Expense. Veterinary fees or pet’s replacement may be found under Pet Injury Coverage. Assistance for Disabled vehicles may be found under 24-hour Roadside Assistance. Safety being the number one concern for travelers, windshield replacement option is under Windshield Coverage. Items such as cameras, clothes, cell phones, etc. can be protected under Replacement Cost Personal Effects. And for those who choose to use their RV as their home, Full Timer’s Package will provide extra coverage. Our in-house comparing systems will allow you to have the most competitive rates.